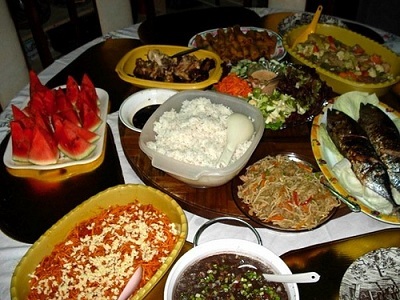 Filipino Cuisines are among the richest in the world. 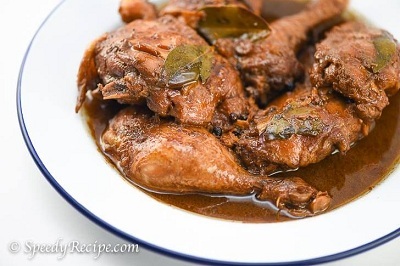 Filipinos are known for its flavorful and savory taste. Over the years, it evolved into one-of-a-kind gastronomic delights that cannot be seen in the menus of every restaurant around the globe aside from those local food stations for Filipinos to cherish. 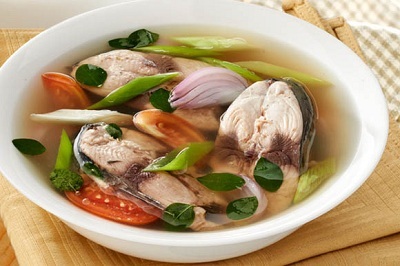 Its unique taste is brought primarily by Chinese, European, American, Arab and Asian influences. Long before the Spaniards dominated Philippines, the people thrived on root crops, game (hunting), vegetables and seafood. Foods were prepared through the simplest of ways like boiling, broiling or roasting. Then, the traders, the Spaniards, the Japanese and the Americans came bringing all sorts of spices and herbs and some of their signature recipes. Now, its cuisine is more like a feast of different countries and cultures- from east to west. Wherever you are in the globe, you will always find here a home. Filipinos have easily adopted the cultures of the foreign. Noodle, in which everyone loves, is a Chinese cuisine, the rice and meat dishes are from Spaniards, the spaghetti and other forms of pastas are from the Italians and the Americans introduced fast foods. All of these are now part of the Filipinos’ most loved recipes and of course, with the Filipino touch. One has to take note that Philippines is divided several regions and each region has its unique customs, practices, influences and specialties. 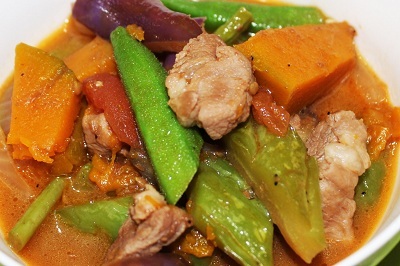 For example, the Ilocanos are proud of their Pinakbet- a dish made up of different vegetables such as eggplant, amplaya, okra, string beans etc. 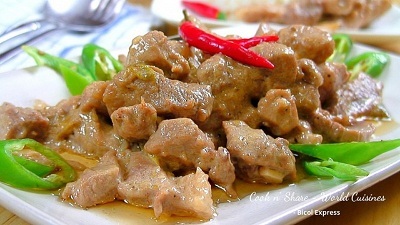 The Bicolanos on the other hand, boast of their Bicol Express- a hot and spicy dish in coconut milk. 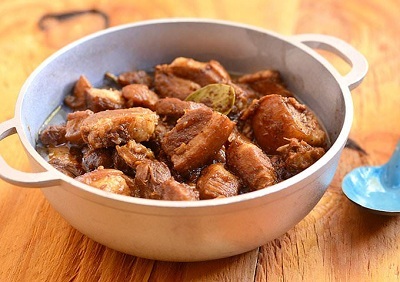 The “adobo”, a dish of either chicken or meat, cooked until tender with soy sauce and vinegar is getting very popular as well as the “lechon”, a whole pig roasted in charcoal. But nothing is more appealing than the rich taste of freshest seafood, directly from the day’s catch. Known as one of the biggest marine biodiversities in the world, Bohol is one of the few where seafood is plenteous and guaranteed fresh. Seafood Festivals are common in big restaurants. 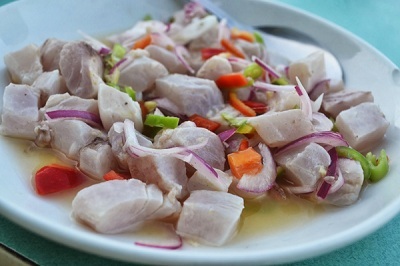 Foreigners and locals are fond of SUTUKIL, the famed three fish preparations with just one fish. 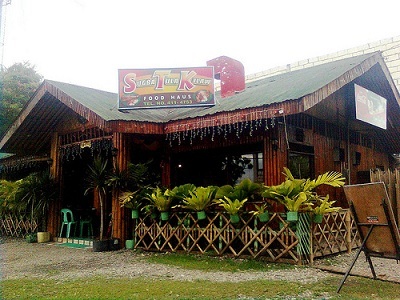 “Sutukil” stands for “Sugba” , “Tula” and “Kilaw”. 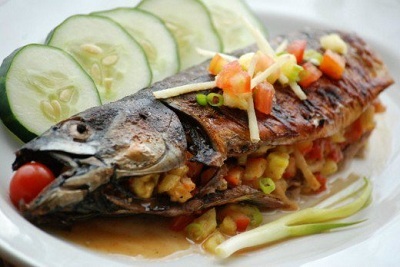 Sugba means “grilled”, Tula is a soup and Kilaw is a dish in which raw fish is mixed with vinegar or calamansi with salt, pepper, onions and tomatoes. Other seafood like oysters, shrimps, prawns, crabs, shells and seaweeds are sold aplenty in the wet markets. The STK Food Haus below specializes in such preparations. But Bohol has more to offer. It has restaurants that cater foreign cuisine such as American, Italian, Asian and so much more. Wherever you are, Philippines feels like you’re on your home sweet home. 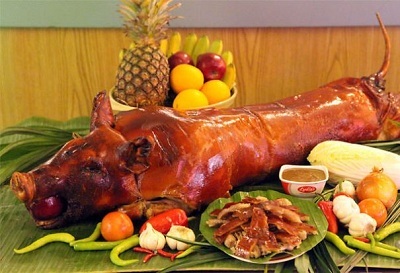 These are just some of the few dishes that Filipinos are proud of. Every dish is worth a try, every delicacy is always worth a nibble. 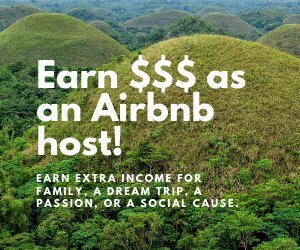 Try them as you visit the wonderland of the Pacific, the Philippines.